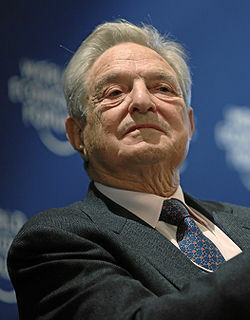 The mega-investor George Soros, the Adecoagro controller, company with sugarcane industries mills in Brazil, is also committed to Noble Energy, focused on oil and gas, and integrating the Noble Group, headquartered in Hong Kong, also a producer of sugar and ethanol, with four mills in the interior. According to the website Insider Monkey, specializing in the stock market, Soros bought 2,41 million shares of Noble Energy Inc. (NYSE: NBL) in the first quarter of this year. The purchase price: US$ 117,97 million. The mega-investor’s lunge reveals its intentions to invest in the petroleum fuel market. It is that in the beginning of May, Noble announced the acquisition, for US$ 2,1 billion, of stocks of oil company Rosetta Resources, based in Houstor in the state of Texas (USA). Coincidence or not, the Soros stake in Noble occurs in parallel to its exit of the Petrobras shares. In 2014, during the height of the investigation of the Operação Lava-jato, Soros, according to its manager, acquired 2 million shares receipts (ADRs) in the Brazilian state-owned company. For last week, according to the newspaper O Estado de S. Paulo, Soros sold all their shares and stock options of Petrobras, zeroing their positions in the Brazilian company. With that, he ceases to have direct exposure also to Brazil, according to documents sent by the manager of Soros to the Securities and Exchange Commission (SEC), which regulates the US capital markets. Adecoagro follows as big bet of George Soros. As swing o f the site Insider Monkey, it has 25,9 million shares of the company, valued at US$ 264.8 million. In Brazil, Adecoagro operates the mills Adecoagro Angelica, in Angélica (MS), Adecoagro Ivinhema, in Ivinhema (MS) and Usina Monte Alegre (MG).